Despite recent reports that Kickstarter's crowdfunding bubble may soon burst, the service is finally going mobile with the launch of an official app for the iPhone and iPod touch. 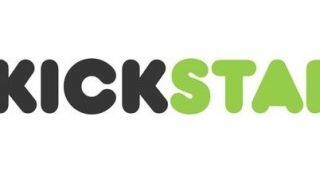 Kickstarter announced Thursday that the company has released an official iOS app for its popular crowdfunding service, now available from the App Store. While there are already unofficial apps for Kickstarter, the official version features a completely new look that makes it easy to find and keep up to date with new projects. "We took things we've learned from the past three years of building the site, and applied them to a total redesign for the iPhone," the company noted in a blog post announcing the release. While Kickstarter for iPhone promises to make it easier for users to find new projects to back, the app is equally useful for creators to keep backers up to date with the latest news and information from almost anywhere. Project creators receive notifications of new pledges as they happen, all from a dashboard complete with statistics and the ability to add iPhone-generated photos or videos right from within the app. Kickstarter also includes built-in social features for notifying users when friends back or even launch projects, and it's easy to add Facebook friends as well. For now, the app is only available for the iPhone and iPod touch (no word on iPad support), but it should come as a blessing to the service's community of creative members. Eager users will find it up for grabs now at the App Store.